The article discusses Cyprian Norwid’s place in 1944–1948 Polish culture, and focuses mainly on the attempts to deprive him of the due place in Polish literature he earned, as well as on the counteracting initiatives taken up by outstanding experts in his literary creativity. Shortly after WW II, cultural circles connected with the Church tried to make him a patron of the country’s restoration. Not until the Marxist ideology gained a dominant position, could Norwid seem to occupy one of the most crucial position in the pantheon of artists. The new rulers, in contrast, had a different vision of tradition. The poet’s writings was proved useless in the process of socialist man formation. Norwid’s supporters used the methods imposed by the communists – presented him as a “poet-worker”, and uncompromising critic of the bourgeoisie and capitalism. The author of the paper makes an attempt to a possibly broad presentation of this ideological fight with Norwid and for Norwid. The reference to King David psalm allows us to present the novel recording the Cossack insurrection against Polish rule in 1648, as a family conflict. One might see Sienkiewicz’s novel only as an answer to Gogol’s Taras Bulba. We try to do justice to the manifold aspects of the novel by addressing three levels of reading. On the historical level, the implications of loyalty and treason are examined. The literary and ideological project presents the comparative values of order and freedom, and on the symbolical level, loss and union are at stake. Having travelled through the American “Wild West”, Sienkiewicz was able to recreate XVII century Ukraine and to tell an epic tale of betrayed love, rebellion, and atonement. The article is devoted to the correspondence between Zbigniew Herbert and Czesław Miłosz. It starts with a short stylistic characteristics of the poets’ letters, then the author moves to a discussion on their thematic layer. The first part of the paper discusses the issues on which the poets had different views and which settled their polemics and disputes: political matters, history, patriotic duties, and understanding of art. In the second part, it brings up the issues which united them and gave their letters a character of a friendly dialogue: sources and purposes of writing, and significance of unbiased contact with the visible world. From this perspective, Herbert and Miłosz seem to be the representatives of objectivist trend in Polish literature. Suggesting an axiological interpretation of the letters, the author of the paper draws a fragmentary map of the values cherished by the poets. The concern of the article is a book by Anna Bikont and Joanna Szczęsna Avalanche and Stones. Writers and Communism, which gives an account of six Polish writers, i.e. Jerzy Andrzejewski, Tadeusz Borowski, Kazimierz Brandys, Tadeusz Konwicki, Adam Ważyk, and Wiktor Woroszylski. It starts with the poets’ postwar involvement into communism and socialist realism, and leads through the Party’s revisionism to their anti-Polish People’s Republic activities as oppositionists. Commenting on the protagonists’ fortunes as presented in the book in question, the author takes advantage of the literary-history context, refers to political-literary personal tensions (most of all between Gustaw Herling-Grudziński, Zbigniew Herbert and Czesław Miłosz), and pays attention to vital subjects of Polish postwar history, of which most considerable is the origin and ethos of political opposition. The author of the article makes an attempt to determine the degree to which Osip Mandelstam’s literary creativity was known in Poland after 1945. The poet’s compositions reception was shaped by time, and his poems were read through the prism of his biography and in the social-political context. Nevertheless, the case of Mandelstam is extraordinary, since he was seen not only as a repressed poet but became also a patron of every persecuted poet, and a symbol of an artist who in his artistic creativity opposed to a totalitarian state. Thus, Mandelstam’s pieces allowed Polish writers to enter into a dialogue. The amount of poems inspired by those by Mandelstam is astonishing, and tells about the peculiarity of his reception. Published as underground literature, Mandelstam’s writings were politicized. Worth mentioning is thus the value of the studies which point at a universal dimension of the Russian poet’s works. Contrary to its potential utility, science fiction in socialist realism was hardly present, and decision-makers were interested in it only to a slight degree. Schematism of the texts and oftentimes slenderness of artistic values resulted from the breaking with the continuity of literary tradition: absence of any bounds with high and popular literature in the II Republic of Poland, while documents on the reader reception point out at the disorientation about the nature of science fiction, erroneously identified with science popularization. The present article, devoted to literary criticism and politics relationships in the last 20 years, is an attempt to present the changes of the criticism from the significant to the beginning of the 90s break up with the politics and the feeling of freedom form all obligations, via gained at this period of time awareness of involvement into market, communicational, ideological, and political interrelations, to the conviction of politicality of literature. A number of issues contributed to this situation, namely political matters, and especially divisions in the former opposition, the influence of post-structural conceptions, particularly feminism, which undermine the possibility of creating the neutral and universal language, and the growing dominance of the media in literary life marked by all critics regardless of their political views. The subject of my interests here is both the functioning of the term of “politicalness” and the ways it is defined in literary criticism disputes and debates, as well as the features characteristic of political critical discourse. The article is an attempt to describe the characteristics of public speech genre in its contemporary form. Statements on the matter are formulated on the basis of analysis of the famous public addresses which made history, and coming mostly 20th century, but also newer ones: John F. Kennedy, Martin L. King, Lech Wałęsa, John Paul II, Barack Obama. Genre markers of the address closely connect this type of expression with the time of speaking, place, situation, and the real audience. Moreover, the public speech is well set in the customs of today’s popular culture, especially in its media aspect. Public address can be of two different types – political, and sacral. An example of the latter is 2006 Benedict XVI’s speech in Auschwitz-Birkenau. A detailed analysis of the speech and its semiotic embedding, intertextual relationships, the position of the speaking subject, and the construction of the event being the visit of the Pope – a German – in the concentration camp allow to note that the address in question unites man’s and God’s perspectives of perception of the good, evil, suffering, and forgiveness. The construction of the speech calls up certain associations with the composition of the Ghent Altar where, as Boris Uspiensky shows, with the various plastic techniques corresponding to the stylistics of presentation in different parts of the masterpiece, two different points of view, i.e. “sacral” (of the God), and “profane” (a man’s) on reality (the world) have been inscribed. Further researches in this matter would call for a hypothesis that a specific genre feature of a particular type of expression referring to the sphere of “sacrum” regardless of the type of signs used to record it is to be considered. The article considers Jerzy Zawieyski’s drama Wind from the Desert. It was written in spring 1958, and takes place in the then Algeria being driven by independence impulse. Main roles in the play were given to French monks judged by their country’s judiciary for the help they offered to Arab insurgents. Zawieyski shaped the form of his drama according to the rules of antic tragedy, and accentuated content references to Sophocles’ Antigone. In a veiled manner Zawieyski also gave an account of his own problems. He put into the monks’ mouths the words he was not to say to Cardinal Stefan Wyszyński in defense of his essay The Way of a Catechumen. Scolded by the primate, Zawieyski only seemingly withdrew from his criticism of pretence Catholicism which, in his view, dominated Polish religiousness in the Inter-War Years. The discussion, cut short ex cathedra, was taken on by Zawieyski in art, putting forward the disputable arguments for readers consideration. The article is devoted to critical opinions of Golden Freedom (1929) – a famous historical novel by Zofia Kossak-Szczucka. The story takes place at the beginning of 17th century, mainly in the community of the Arians (the Polish Brethren), who represented a radical wing of the Polish Reformation. As a result, opinions of majority of critics focused on the extent to which the Arian community was depicted faithfully, and whether the picture reflects the then state of research in this matter. 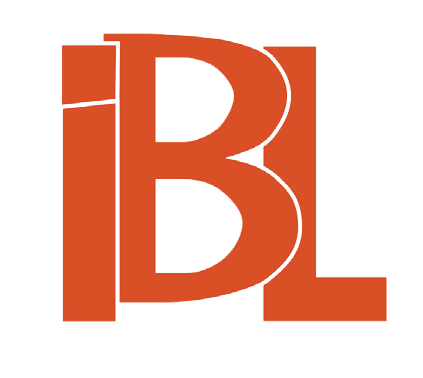 The article presents the archive of Jan Józef Lipski (1926–1991) – a literary critic and literature specialist and for many years an oppositionist in communist times in Poland. The collection shows Lipski’s multidimensional life, the mingling of public service and the passion of a literary works lover; many a time in one notebook projects of letters of protest adjoin literary theory sketches. Lipski’s archive is a mine of information for both a historian and a polonist. The review emphasizes the significance of Jerzy Fiećko’s reliable dissertation – the first monograph on Zygmunt Krasiński’s russophobia. The author considers the different aspects of the poet’s uncompromising affinity to Russia in a broad historical context, and sets it in the background of his literary creativity evolution to resort to little-known and rarely interpreted pieces. 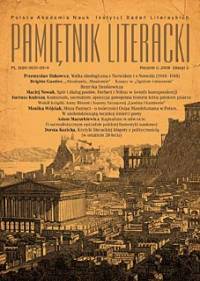 The text discusses two books by Agata Zawiszewska on the reception of Russian literature and Western literatures: German, French, and English, in the inter-war paper “Wiadomości Literackie” (“Literary News”) in the years 1924–1939. This review deals with Andrzej Biernacki’s collection of forty-four essays on Wacław Borowy written by diverse authors. The collection is entitled Zatajony artysta (The Secretive Artist). Borowy (1890–1950) was an eminent literary critic and scholar in Polish and English literatures. The reviewer states that the essays form a dramatic “biographical story” of the luminous and uncompromising academic whose professional career was tragically disrupted at its climax by attacks from some of the most ardent and obsequious proponents of the communist regime in post-war Poland. The review discusses a four volume collection of Tadeusz Borowski’s Papers. The author, a prisoner of Auschwitz concentration camp, unquestionably influenced the shape of 20th century literature. It is a long-awaited, the poet and writer’s due first critical collection of works edited by Tadeusz Drewnowski in collaboration with Justyna Szczęsna and Sławomir Buryła. Three publications on Gustaw Herling-Grudziński’s literary creativity make up the subject of the review. The book by Włodzimierz Bolecki is a monograph of A World Apart, the one by Katarzyna Malinowska discusses Herling’s religious topos, putting it into the context of modernistic literature, while Feliks Tomaszewski in his work reconstructs the writer’s fortune, and through the prism of Grudziński’s topos imagery he interprets the writer’s self-portrait as present in his writings. The text discusses Dariusz Kulesza’s book on Zofia Kossak’s and Tadeusz Borowski’s literary creativity. 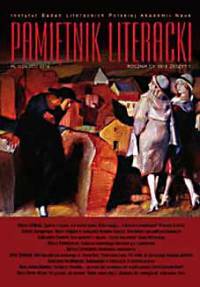 The book shows the writers against the background of the discussions on 1944–1949 Polish literature. The text discusses Piotr Juszkiewicz’s book on Polish artistic criticism in the thaw time. Juszkiewicz attempts to verify the crucial errors in the assessment of these issues, and analyses them from his own, internal perspective. He concentrates mainly on the problems of critical language, discourse limits, and on the characteristics of the texts which build the discourse. Emphasizing the key role that the thaw time played in shaping the further attitudes and critical strategies, Juszkiewicz marks at the same time the most important points of reference on the map of post-war art criticism. The review discusses Paweł Ćwikła’s book on totalitarian visions of “social orders” in Janusz A. Zajdel’s works. The researcher takes here a sociological attempt to analyse the literary creativity of the author of Limes inferior. The text is a remembrance about prof. Zbigniew Goliński, a distinguished editor and researcher in Enlightenment literature in Poland and Ignacy Krasicki in particular, and a long standing head of the Institute of Literary Research of the Polish Academy of Sciences in Warsaw. 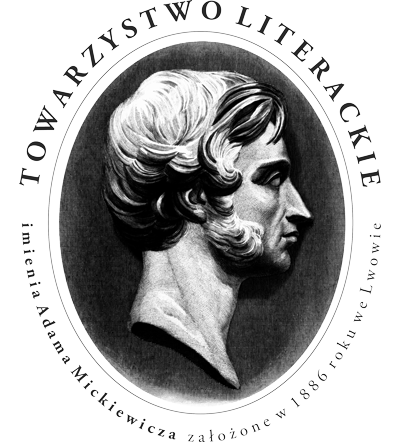 The text is a remembrance about prof. Zbigniew Goliński’s activities in Niezależny Samorządny Związek Zawodowy “Solidarność” (the Independent Self-Governing Trade Union “Solidarity”) of Warsaw Polish Academy of Sciences institutions workers, also after its delegalization during martial law.